What is a Democratic precinct officer? What do we do? Committed to winning elections at local, state and national levels, we’re building an active, effective group of Democrats organized in every precinct in the county. Our members value political results, but we also have a great time organizing activities that are successful and fun. Prospective members are welcome at our meetings (every second Monday except Dec.) and other events. living in or near Canadian County? 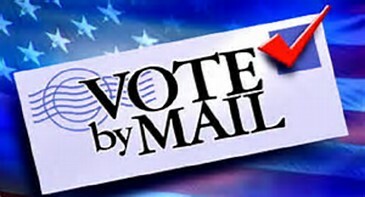 Voting by mail is easy! Make sure you never miss a chance to vote for Democratic candidates again. Register online now for all elections in this calendar year (renew annually). You’ll be glad you did. Please share this info with others who vote like we do!